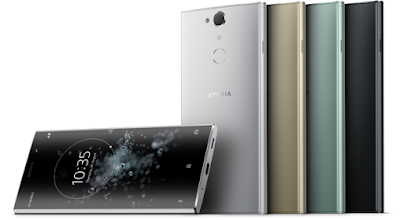 Sony has launched the Xperia XA2 Plus Smartphone. It comes with 18:9 display, Sony’s Hi-Res Audio, and powerful camera technology. Sony Xperia XA2 Plus has a 6-inch Full HD+ 18:9 display which is protected by Corning Gorilla Glass 5 Powered by Qualcomm Snapdragon 630 processor with 3GB RAM and 32GB Storage and 6GB RAM with 64GB Storage. Xperia XA2 Plus is the first super mid-range smartphone to feature Sony’s High-Resolution Audio technology, so you can enjoy your music in its purest and truest form - just as it was produced, as the artist intended. On Camera, it has a 23MP rear camera packs Sony’s large 1/2.3” Exmor RSTM for a mobile image sensor, features 4K movie recording and 120fps slow-motion and an 8MP 120° super wide-angle front camera. It runs on Android 8.0 Oreo. Packed with a 3,580 mAh battery which supports Qnovo Adaptive Charging ensuring the battery stays healthy over time. Qualcomm® Quick Charge™ 3.0 technology Quick charging is also supported to give you hours of power with just minutes of charging.